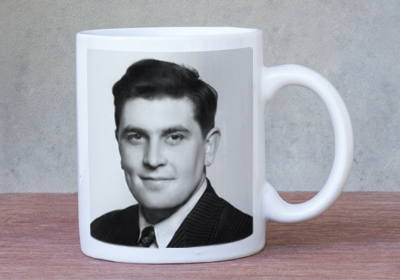 Do you have old and cherished photos that are torn, stained or have unsightly marks? Or do you simply want to brighten a faded photo? Snappy Snaps will produce a new image that is restored and brightened so they look their very best. Visit us and let our photo advisers help and guide you on how to get this done. You will be amazed at what can be achieved using the latest digital technology. Snappy Snaps have highly skilled technicians and the latest technology to restore photographs from the most priceless moments of your life. We are specialists in photo restoration and retouching, and can preserve your precious memories by boosting faded colours and removing dust and scratches if you require. We can create restored photographs from negatives, slides, digital media and existing damaged prints to give your old damaged photos a new lease of life. Once we have repaired your damaged photograph, why not get the restored image printed and put in a frame or transformed onto a canvas. 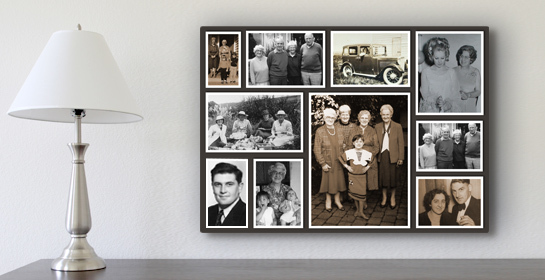 If you have a lot of photos we could create a stylish collage that transform your old photos into a modern piece of art. Visit us today at One Canada Square London E14 5AX and let our photo advisers open your mind to new and creative things we can do to your newly restored photographs.